Whenever a big trip is coming soon, I have to admit I hustle double-time so I can earn enough (or sobra pa) na pocket money to fully enjoy a trip. Since I can't always wait for the next Bloggers United which happens just 2x a year, one of the things I do is sell my pre-loved things online. Luckily, it's easier to sell things online through convenient mobile apps like OLX that you can use even when you're on-the-go. Here are some of the items that I am planning to sell, they are mostly clothes that I have outgrown, hindi ko na nagagamit, or hindi ko na style. All of them 5x max or I have never used pa nga! Good news! 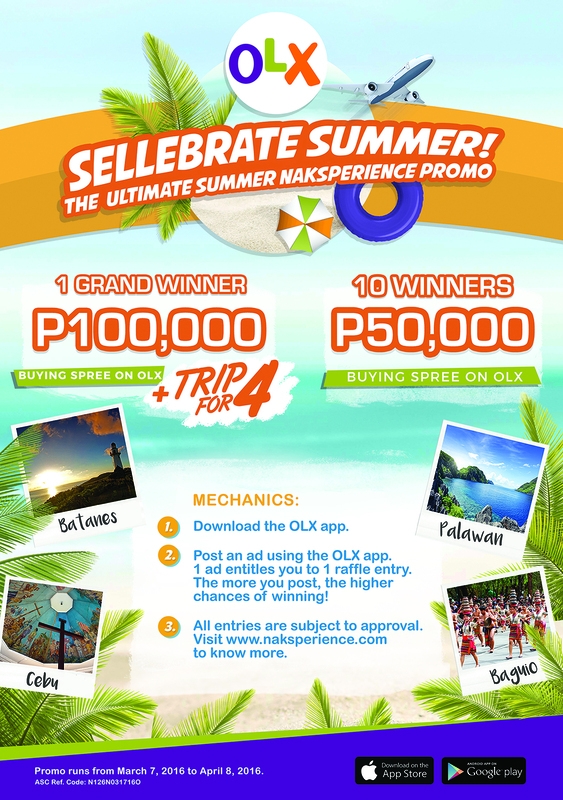 When you sell via OLX Philippines, they have an ongoing contest to their sellers where you can win buying money on OLX, AND a summer escape! It is the ultimate #NAKSPERIENCE summer promo! Click photo to enlarge. 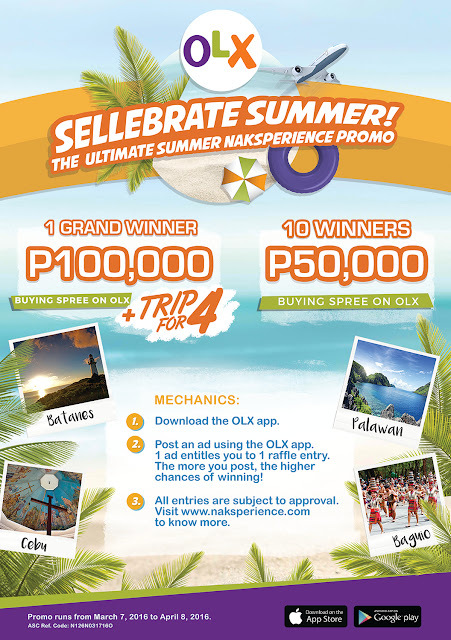 1) Weekly Draw: Two (2) winners of a Php 50,000.00 buying spree on OLX Philippines each. 6) And my dream local destination, Batanes! Again, contest open until April 8, so post (and sell!) away! Gusto ko manalo nun trip, hehe.